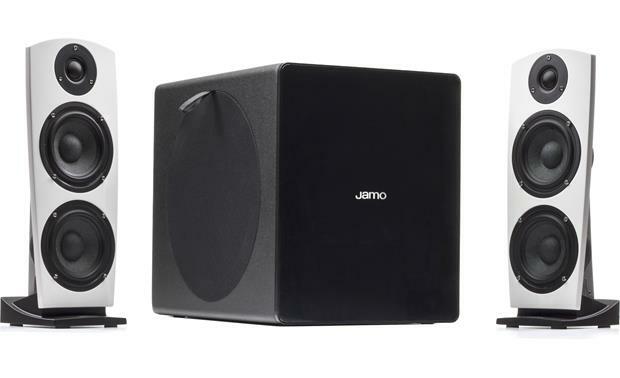 The Jamo DS7 powered speaker system gives you clear, detailed and spacious sound without taking up a lot of space. The Jamo DS7 powered speaker system gives you clear, detailed and spacious sound without taking up a lot of space. The left and right stereo speakers feature a unique open-back design that's both space-saving and eye-catching. 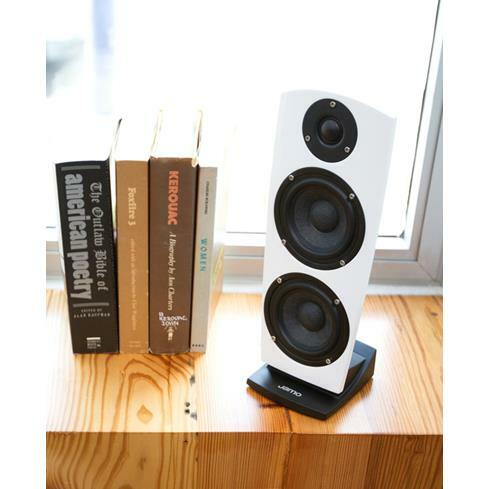 The compact open-back satellite speakers fit easily onto a bookshelf or desktop. 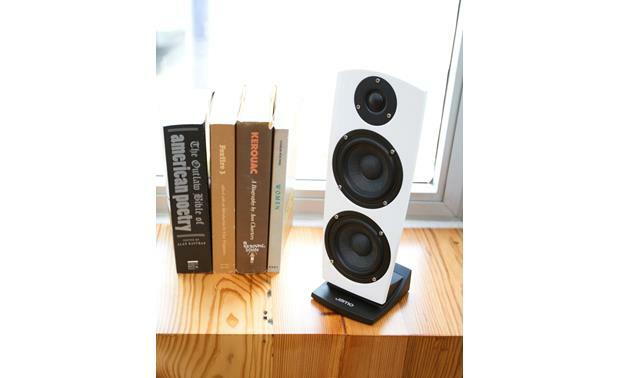 This versatile powered 2.1 speaker system works great with your desktop computer. Or connect it to your bedroom TV through the included optical digital cable for great movie sound in a small space. You can also use the DS7 with a turntable or other audio source for a sleek stereo sound system in the den. The DS7 has Bluetooth 4.0, so you can stream near-CD-quality sound from your compatible smartphone or tablet. 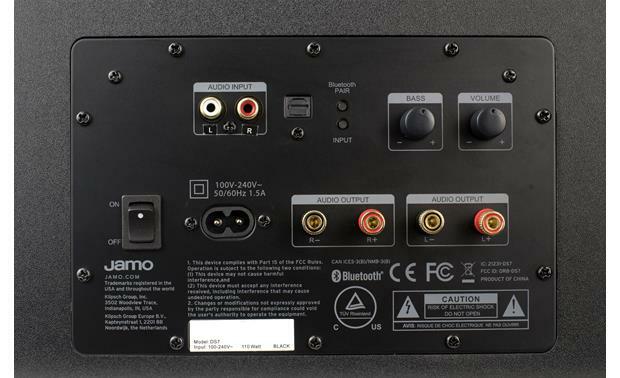 I've tried a number of ways to improve the sound coming out of my smallish TV — from a sound bar to a stereo receiver with bookshelf speakers — and this Jamo DS7 setup has become my favorite. Not to be shallow, but part of the reason is the system's visual appeal. The open back speakers sound great, but they're also a visual conversation starter. They flank my TV, where they look and sound absolutely smashing. Setting the system up was so easy. I ran an optical cable from the TV to the back of the subwoofer, then used the included speaker wire and convenient binding posts to connect the elegant white speakers. Voila, dialogue was crisp and audible, and the sub was adding oomph to movie and TV show soundtracks. I'm a music lover, of course, so I appreciate that the included remote lets me switch to Bluetooth input with the press of a single button. The convenient, versatile DS7 has definitely found a home in my living room. Each satellite speaker has two 3-3/8” midrange woofers and a 3/4” Tetron tweeter for high frequencies. 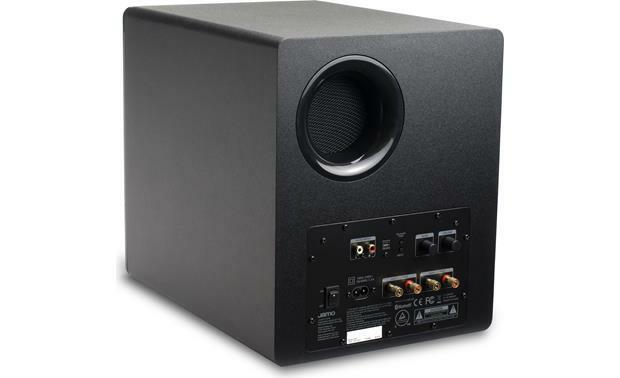 The separate powered 8” subwoofer rounds out the low frequencies. It's small enough to fit under your desk, yet it produces nice, full bass. The sub's built-in three-channel amplifier powers the satellite speakers with 30 watts each, while pumping 60 watts to the bass driver. 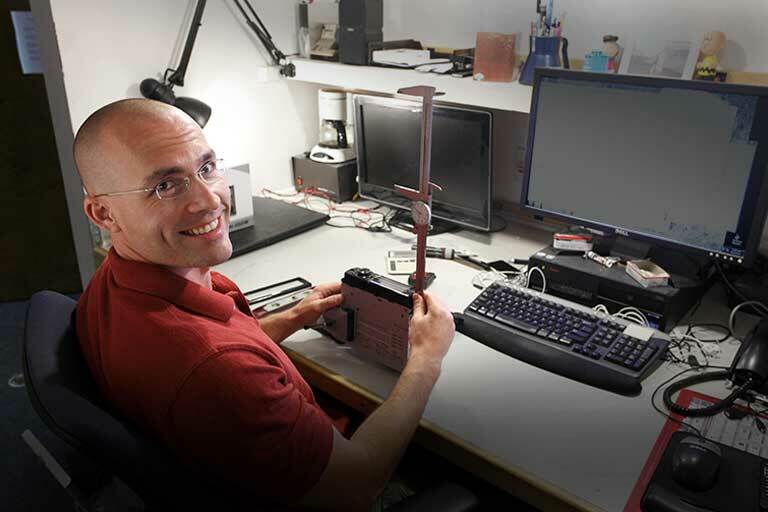 High-quality binding posts ensure solid connections. Great sound in a compact package. Looks great also. Hi, could I use this unit with my computer ? Thanks. The speakers are self powered so, yes, you could use them with a computer. Satellite Speakers: The Jamo DS7 includes a pair of satellite speakers for room-filling stereo sound. Each satellite speaker features a 0.78" (20mm) tetron tweeter with neodymium magnets and two 3.4" paper cone woofers mounted in a beautiful, high gloss, 3.5mm thick backless enclosure that delivers extraordinary clarity and detail. 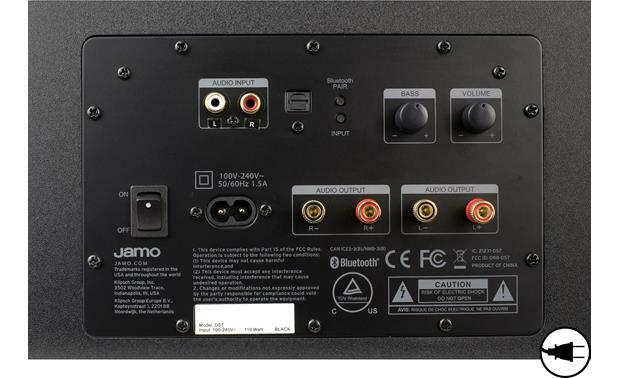 Audiophile-grade binding post connections and speaker wire are included in to connect to the speakers to the subwoofer's built-in amplifier. 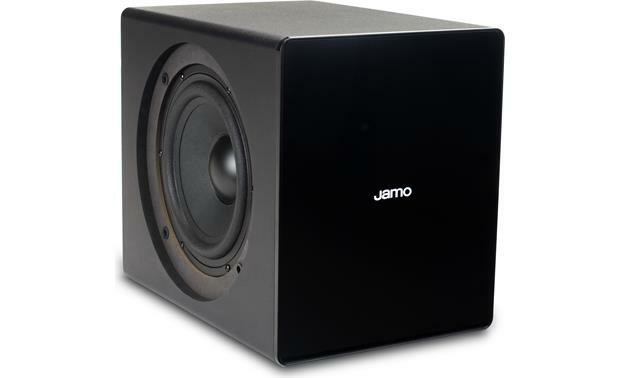 Powered Subwoofer: The Jamo DS7 speaker system includes a powered subwoofer with a side-firing 8" paper cone woofer, rear-firing bass port, and a built-in amplifier that delivers 60W to the subwoofer and 30W to each satellite speaker (120W total system power). You can adjust the overall volume of the system and the system's bass level independently through control knobs on back of the powered sub or from the included IR remote. Bluetooth Audio Streaming: The DS7 speaker system utilizes Bluetooth 4.0 technology for wirelessly audio streaming from your smartphone, tablet, laptop, or desktop computer. You'll be able to wirelessly stream stored music, music apps, and other audio content from your Bluetooth source device to the Jamo DS7. You'll also be able to control volume, play/pause, and previous/next track functions from the included remote control. Advanced music browsing and song/artist/album information still has to be done from your Bluetooth source device. You can pair multiple Bluetooth source devices, but only one can be connected at a time. Once paired, the DS7 will automatically re-connect with the last previously connected device when in wireless range. The DS7 does not support Bluetooth hands-free communication for phone calls. Analog & Digital Inputs: In addition to Bluetooth wireless connectivity, the DS7 is equipped with analog & digital inputs. 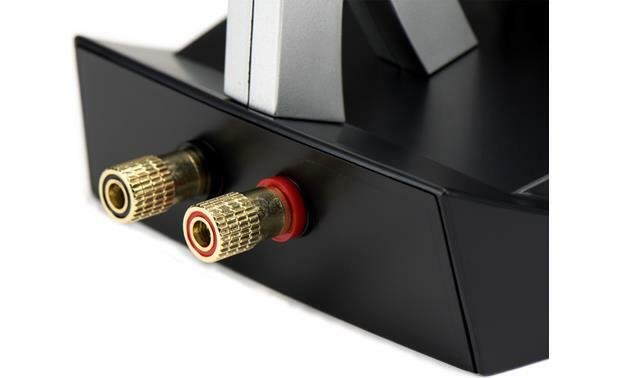 There is an analog stereo RCA input and a digital optical (toslink) input for connecting the speaker system to your TV and one other audio source. The optical digital input only supports 2ch PCM (not compatible with Dolby Digital/DTS). The analog & digital inputs are found on back of the powered sub. 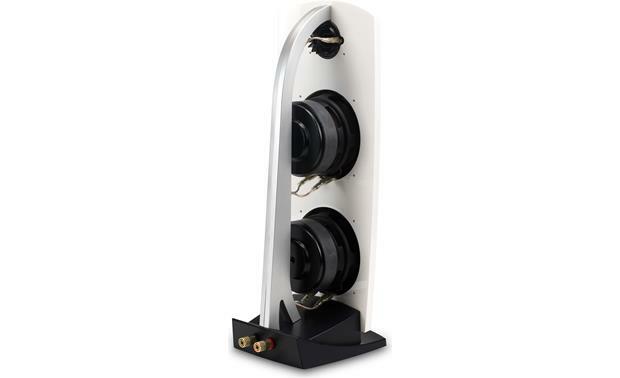 Binding Post Terminals: There are a pair binding post terminals on the back of each speaker and two pair of binding post terminals on back of the powered subwoofer. Two 6' lengths of speaker wire are used to connect the satellite speakers to the built-in amplifier of the powered subwoofer. You can substitute the included speaker wire with better quality speaker wire or longer lengths of speaker wire. 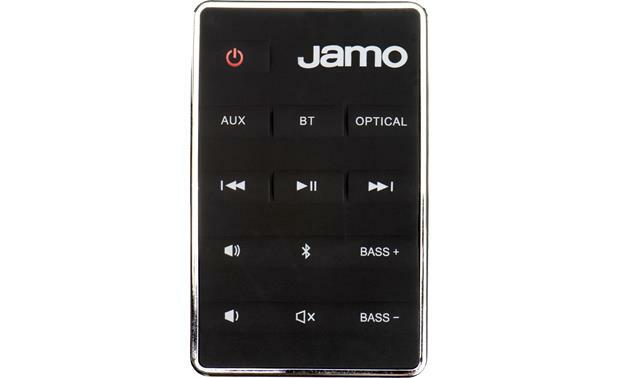 Remote Control: The Jamo DS7 comes with an IR remote control for wireless operation of the speaker system. Control source selection, adjust or mute the volume, and even pair Bluetooth using the IR remote. You also get play/pause & previous/next track controls on the remote for source connected via Bluetooth. Note: There is a power on/off switch, input button, pairing button, volume control knob, and bass level knob on back of the powered sub. Detachable AC Power Cord: The included 5.5' detachable AC power cord plugs into the back of the powered sub and into and AC wall outlet or surge protector (sold separately). Expanding on a question already asked- Does this unit go into standby or off mode with no signal. If so, does it awaken on signal so the tones and bells occasionally from my computer will be heard? 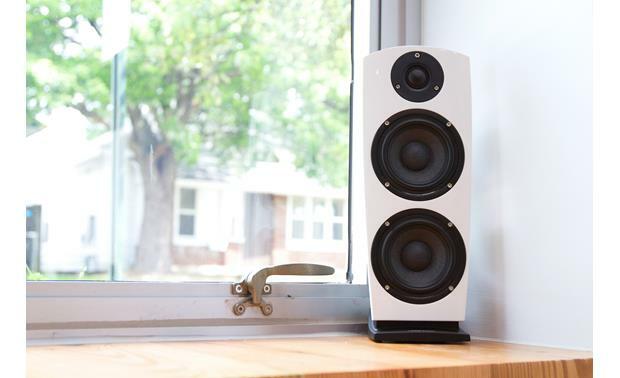 The Jamo speakers will not go into standby mode through inactivity. They will either be on or off. You have to flip the power switch on the back to control the power.